I was on a mini Quilt retreat over the weekend :) a lot was accomplished! On Friday I completed 80 blocks (no picture of that many today) and pulled out a long neglected UFO. In 2006, when attended AQS Paducah, I took a class with Kimberly Einmo - Keuenhof Tulips. 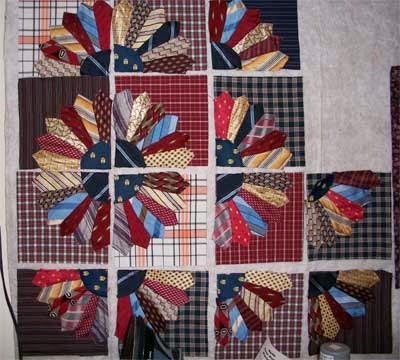 I finished up the Tie Quilt by sewing the buttons on over the weekend. There are shirt buttons in each of the cornerstones. 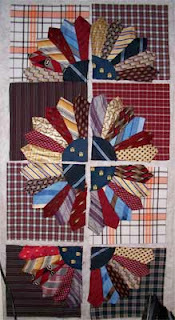 For more inspiration in the form of quilter's design walls, check out Patchwork Times. I'd like to wish you all a blessed Veteran's Day! I have more tie blocks up on the wall :) AND all of the blocks are finished! (there are 24 all together, they just aren't all up on my small wall) Now to get the sashing and corner blocks cut so I can get the top sewn together. 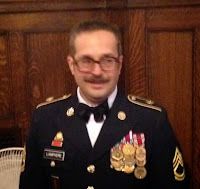 My goal is to have this done before the weekend of the 23rd ... Thanksgiving at the latest. 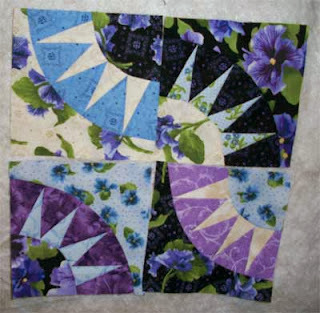 I also have a start on my Iron Quilter Challenge ... I have four 4" blocks completed ... and 8 more arcs finished (not up on the wall). If I could only find the other charm pack, I could pop a few more of these NYB blocks out! For more design wall inspiration check out Patchwork Times!